Our products are shipped from the Far East where it's manufactured and detailed by experts. Customer service representatives are knowledgeable and ready to assist clients with any questions and information needed about our products. Whether clients are designing homes or landscaping mansions, Amazing Green has the right items for any size project in the market. View How our Reed Grass are made! Most of our products are hand-made specifically to give the highest quality with an authentic look. The Reed Grass is one of our many plants that are made uniquely. We're taking our Wheat Grasses to a whole new level! Our Wheat Grasses would look bold and sophisticated on a table. Check them out and view our many choices of colors: Brown Tips, Green, and Spotted. We also have two different shapes in a rectangle or square. With all that we also have different sizes from as big as 22" to as small as 7". If you haven't seen them yet, click here! 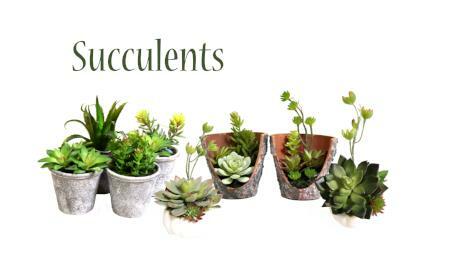 We are introducing our new Succulents Line! We noticed your demands and now they are here! 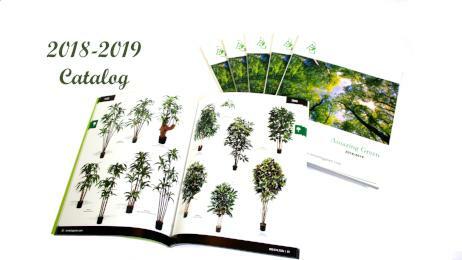 We offer different sets and ones that are already potted. If you haven't seen them yet, check them out by clicking here. We are also proud to present our new SPW line. SPW are made with the highest quality with many good features. They will look great with all plants with different shapes and sizes. Come check them out here! You can also ask about them through Email: sales@amazinggreen.com or call us at: (909) 923-8865.